﻿ Outlook PST Converter Tool to Convert ANSI PST to Unicode PST & other different formats. Convert and Exports PST into various different file formats. The tool prominently works on Corrupt or Orphaned PST file. The tool gives the option to convert Outlook PST file in batch. At once multiple PST files can be added for conversion into a supported and most suitable file format. However, you can import PST files one by one. With this Outlook 2010 PST conversion tool, there is assurance that all folders will remain in same hierarchy in output PST file or mail folder as they were in source PST file that is selected for conversion. Adobe PDF files are known for their flexible nature. The tool gives an opportunity to save emails, contacts, calendars, and other mailbox items into PDF and creates single PDF for the individual item in the PST file. Outlook PST converter gives facility for Outlook convert file format. For every mail folder in the PST file, the software generates an MBOX file which can be further imported into multiple e-mail platforms. PST File Converter can export file and using this feature, an single file can be created for every message in PST file. EML files can be accessed in popular mail clients like Thunderbird, WLM etc. MSG is the single mail file of Outlook and the tool supports converting PST emails into MSG file format. Messages with their attachments can be saved into individual files using this converter. If needed, only selected folders from the PST file can be converted to most suited file format. You can use the "Selected Folders" option for this and to convert all folders from PST, use "All Folders" option. The PST converter ensures that all emails along with their attachments are converted into selected file format. Also, the tool takes care of the fact that email metadata, HTML formatting, images remain intact. MS Outlook Converter - A New Conversion Way! Like any other file on the machine, a PST file can get corrupt or inaccessible due to unavoidable reasons. To recover data from such files and convert them to PST, EML, MSG, EML, or MBOX file format, this Outlook PST Converter tool is the most prominent option. Outlook PST Converter gives a platform to upgrade Outlook files from ANSI to Unicode file format so that an ease to perform operations like to convert Outlook 2003 to 2013 is offered. The tool works as recovery come conversion solution i.e. it has potential to recover data from a corrupt PST file too. With its working as a tool to convert Outlook PST to Adobe format, it allows opening Outlook mailbox data into Adobe Reader which is freely available. The tool converts PST file data to a single mail and saved in Outlook data file, i.e. PST. Through Outlook MBOX conversion, an extended access to the emails in PST file is offered to the users in different mail clients. Along with the recovery benefit, the tool is tagged with convert Outlook mailbox to PST Unicode and multiple file formats advantage which is appreciable. Not only it helps to gain access to the inaccessible PST file but also gives the advantage of accessing its data into variety of mail platforms. 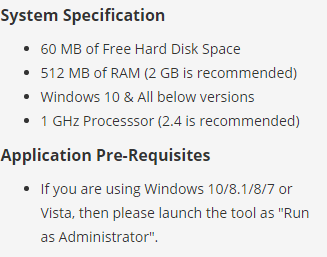 Download the setup & Install it on your PC. Then run the setup by clicking 'Run' option. To repair another .pst file, click the 'Browse' option to load the PST file in software interface. Select the file from the list of PST files which is required to Recover & export. Select the file type ‘Export to PST file(s)’ or other option to extract the recovered data from corrupted Outlook PST File. By default the software export the recovered PST data without installation of Outlook. Change the Default location to save the recovered PST file in the selected format. Status bar display number of items exported to the Output format. Open Target Folder shows the folder that contains the Output data. PST File Converter – Replies All Doubts & Queries! How can I check PST format after conversion? To check the format of PST file, open it in Outlook. Select it, right click on it, and then choose "Data File Properties". Click on "Advanced" tab and check the "Format" tab. If it states "Personal Folder File", it means it is Unicode PST. Can I save all items from PST file into Adobe File format? Yes, you can export all mailbox items including emails (with attachments in original format), contacts, calendars etc with this Outlook PST converter. For every item in the file, an individual PDF will be created by the tool. How can I convert my Outlook email database into Apple Mail? 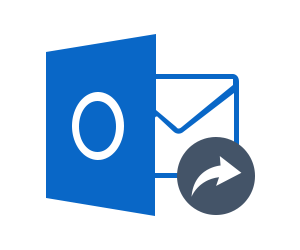 With Outlook PST conversion tool, you can convert the emails from PST into EML file format or save each email folders in MBOX. Both EML and MBOX files can be imported into Apple Mail on Mac OS. This Outlook PST converter has made working with PST absolutely easy. I have successfully upgraded an oversized PST file to Unicode PST and have restored all deleted items too. Definitely, it's a tool worth investment. I used this Outlook PST converter tool to export Outlook 2010 to Outlook 2013 and it worked perfectly well. The tool is a multi-tasking solution that recovers, converts, and restores data from a damaged PST file from any Outlook edition. Outlook file converter is so well created that it convert my corrupted PST File even without Outlook application within few minute. Naming convention option helps me to save the exported data in a specific format. Tool not only recover my emails form heavily corrupted pst file but also help to use them for different email clients. Even store some important e-mail files as pdf for office documentation work.